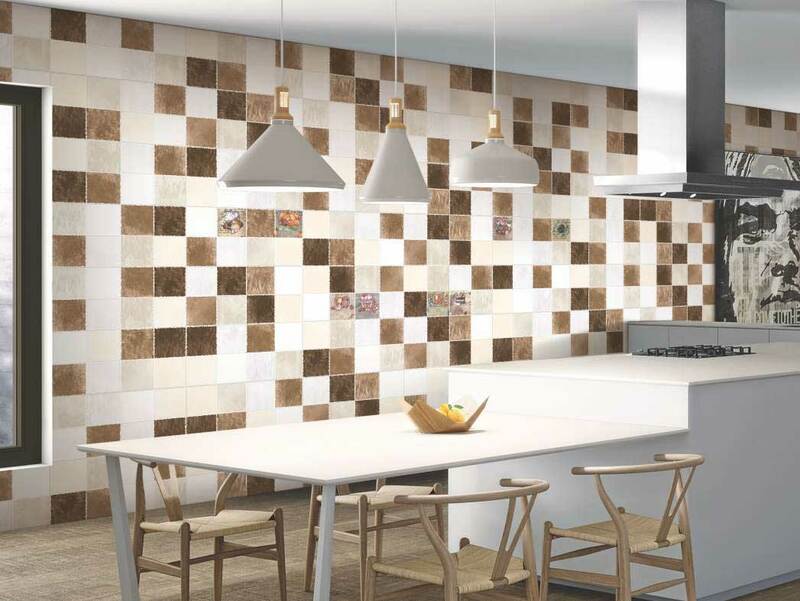 Ceramic Wall Tiles play a major role in home design and decor. It is a piece of attraction for people who see them but to make more attractive, find out which tile design, style or color suits your home. Before planning to install a tile anywhere in your home or office, understand the advantage of using a particular tile to perfectly choose a tile that fulfills your demand. With the advancement of new technologies in the tile manufacturing industry, digital printing is the latest development. There are several tiles available in the market; Digital Wall Tile is one of them. Certainly, it changed the look of tile industry. Introduced in 2012, digital wall tiles have gained popularity and are expected to rise even more in future. These tile appeals and enhance the look of the entire home or office. Designer digital wall tiles are manufactured by applying any design on the surface of the tile without compromising tile quality and integrity. It imparts a unique look to the tile and applied to any wall, transforms into an amazing art. These tiles are not only attractive in look, but also durable and feature-rich. Thus, it is trendy in the market. 1. Variety of Options: There is infinite scope of digitally printing any designs so that a desired image is printed over the tiles. It has the ability to imprint high resolution design on tile with the latest technology. Thus, it fulfills your demand of any design with creativity. We at Q-BO Ceramics have mastered the art in the manufacturing of digital wall tiles which we export highly in the Indian as well as in international markets. 2. Reasonable Price: Digital wall tiles are inexpensive compared to wood and stones. It is available at affordable prices similar to ceramic tiles. Thus, digital wall tiles are considered to be best as it delivers unique creativity with different design at reasonable rate. 3. Durable Material: Digital wall tiles are strong and durable along with stylish decor. Other features it comprises are: they are stain proof, resistance to scratches and easy to maintain which makes them popular to use. 4. Consistent Look: These tiles are designed using advanced technology to print any design on tile hence; all of them have a uniform look. E.g. if you need a rustic look, you can opt for wood textured tiles while if you are lover of modern and bold look, you can go for stripped design to print on your tiles. These types of design leave watchers spellbound. Q-BO Ceramic specializes in a field of manufacturing and exporting Ceramic wall tiles which are available in various designs, pattern, size and shape. Using advanced technology, Q-BO offers digitally printed kitchen wall tiles and bathroom wall tiles in both glazed and unglazed version which are durable and strong in nature and also consistent with custom designs. Thus, it makes us the most popular supplier of digital wall tiles in India. The reason behind our growth and success is our cost-effective and quality products that we offer to our clients. Come and explore more about digital printed tiles offered by Q-BO Digital Wall Tiles.